For close to four decades, GlassWorks has been delivering the most impressive glass fabrication products to customers throughout the Greater Chicago Metropolitan Area. We are acknowledged as the leading glass specialists in the region and, in particular, for our sophisticated antique mirrors. 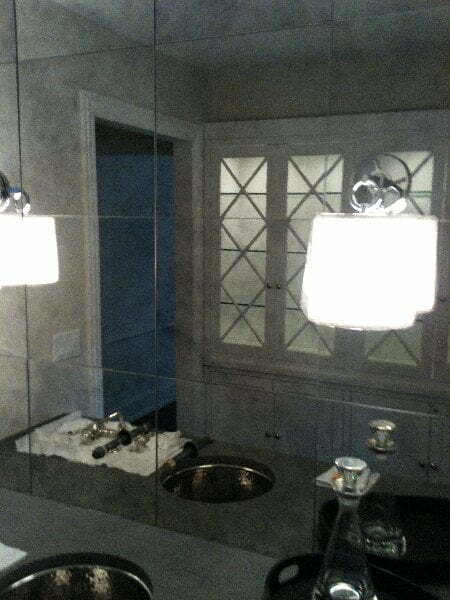 Mirror antiquing encompasses a silvering process which delivers a definite and individualized appearance. Considered to be the fastest growing glass company in the Midwest, GlassWorks is the definitive choice for residents who are looking for a customized antique mirror or decorative mirrors for their homes. Irrespective of the antique mirror glass you desire, GlassWorks has the essential background and experience to transform your dream antique mirror glass into a reality! We have been providing award-winning services to antique mirror customers since 1977, and we serve approximately 4,000 clients each year! Consequently, it makes perfect sense that Mount Prospect residents consider GlassWorks their destination glass fabrication company for all of their decorative mirror needs! Mount Prospect, Illinois has close to 55,000 residents and is in Cook County. Glenview, the home to GlassWorks, is conveniently located only eight miles east of Mount Prospect. If Mount Prospect residents are in the market for a new antique wall mirror for above their fireplace or in their dining rooms, they know who to contact – GlassWorks. We are renowned for having the most outstanding antique wall mirrors at the most reasonable prices for our Mount Prospect customers’ homes! Plus, GlassWorks will design one-of-a-kind antique mirrors for our Mount Prospect clients’ specifications. In addition, Mount Prospect customers are well aware that besides giving the illusion of a more spacious room, our elegant decorative mirrors also brighten the rooms substantially by reflecting light. GlassWorks sells the most competitively priced antique mirrors in the area, in addition to having the most affordable prices! No wonder we receive so many requests for our glass fabrication services. Whether you want an antique mirror or decorative mirrors, you can anticipate that we will take care of it quickly and efficiently! You can also count on GlassWorks’ professionals to treat your home with the same due-respect that they treat their own homes. We will also guarantee that your decorative mirrors are installed precisely as you want! To discover more about our mirrored glass products, call GlassWorks, today, at: (847) 729-5580! We offer FREE ESTIMATES!